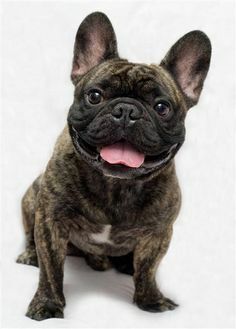 What Colors and Patterns Do Frenchies Come In? 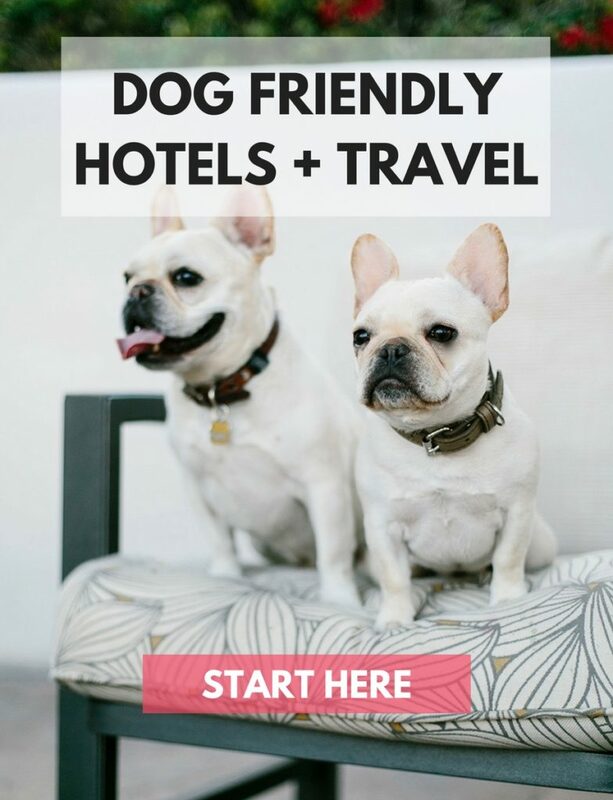 All French Bulldog pets have that pleasant, humorous and infectious personalities, but aside from that, multiple features and traits make them attractive. They are mostly found in our homes as lovely pets, playful and often readily submissive. 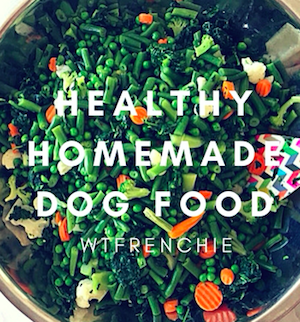 What’s even amazing is their largely unmatched levels of intelligence – compared with other pedigree dog breeds. 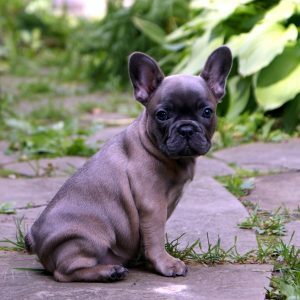 When looking for a French Bulldog puppy, understanding the various French Bulldog breeder warning signs is highly recommended. Color variations and patterns have little or no significance on the little lovely guy’s personality. If you are hoping to be a future Frenchies owner, it might be smart that you understand the following colors and color patterns. With a coat that predominantly features a dark color with a few lighter colored hairs, Brindle Frenchies are easily discernible. Brindling – that lighter coloring, varies from very lighter or sometime nearly non-existent black brindle (Seal Brindle) to extremely heavy or what’s commonly referred to as Tiger Brindle. There may be patches of white hairs of visibly varying sizes or none at all. 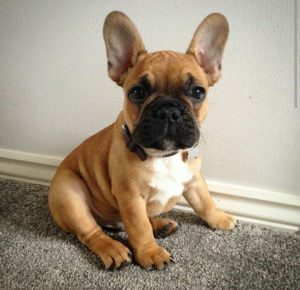 French bulldogs come in various colors including the loved Brindle, and then there’s the dappled coat colors. Pied means that it is white or eggshell colored skin with few to many patches of a dark color. 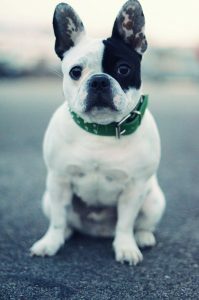 This means that most pied French Bulldogs are white in color with a darker color. You will notice that pied is a straight opposite of Brindle. Cream – a uniform eggshell color with no single patch on any part of its body. 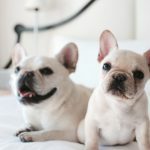 Normally, cream colored French Bulldogs have a “white” colored coat and distinctively different from fawn coats. 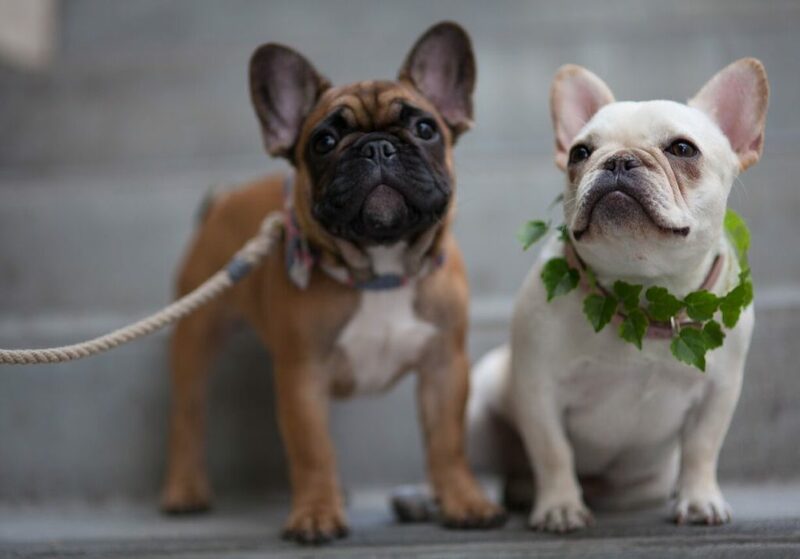 Fawn – Frenchies with such a coat can be subtly tan in color to extremely reddish tan and everything in between. Fawn means that there’s no patch and the coat color is uniform all through. Those regions around the head and ears are a bit darker than the rest of the body’s color. Blue-fawn – it is a blue-colored variation that’s hard to come by as the blue hue becomes more apparent in the masking points including the face and the upper body. Such a rare breed is highly beautiful, but exceedingly rare. Blue Brindles – with a little chocolate touch, blue-brindles are the exact opposite of blue-fawn. 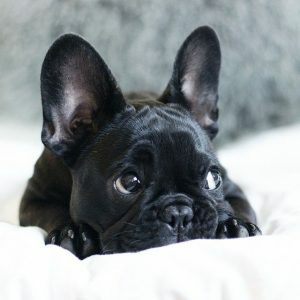 Chocolate – yet another rare Frenchie color that ranges from light milk chocolate brown to somewhat dark brown with various gorgeous eye colors. Some of them can have no patches while the other ones can feature small to large patches. 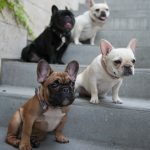 Black – Frenchies whose coat color have no patches or brindles apart from a white blaze at the distinct part of the body. 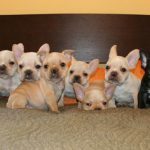 How Many French Bulldog Puppies in a Litter? Hi Linda- pure white seems to be pretty rare. Weston is almost white but with a beige tint and Fira has beige on her face and down her back. The cream may get lighter or darker–could go either way! all white one tend to be deaf, verify hearing before purchase. Hi Sharon- I’m not sure actually. 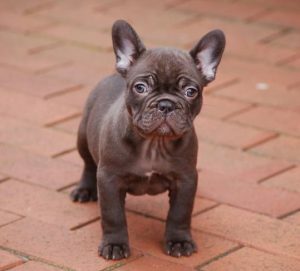 Even though they are chocolate and blue fawn, they could even have a pied puppy (for example)–if it’s in their lineage! Great question for a breeder. What colour pups will come from a blue pied and blue and tan male? 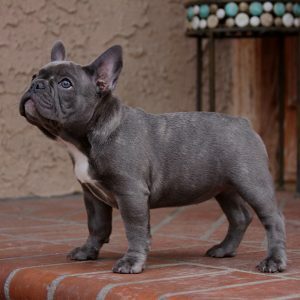 I noticed in my research on Frenchies and their color that Blue is not listed as a color. Why is this?